Kindle and OverDrive Bringing Library Lending This September? One of the biggest flaws in the idea of a Kindle purchase for a lot of people has been the complete lack of library lending support. This isn’t a new problem. 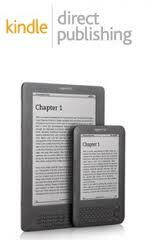 It stems from Amazon’s refusal to open up compatibility with the industry standard EPUB format. While Amazon may not have been willing to concede on that point, however, library lending is a must have for customers so they have worked with OverDrive Library, the most popular library lending management tool available today, to bring the capability to the Kindle. Several months back we heard that it was due before the end of the year and little has come up since then, until now. Naturally no specific dates were given, but I’m catching a rather obvious hint hidden in there as to when we can expect results. This software update will not just include Kindle support. It will also mean an improvement to the experience for all library patrons. The acquisition process will be simplified significantly, for example. While the Kindle will be the only device that maintains persistent notes (meaning that anything you annotate in your library rental will still be there next time you rent or buy the text) , everybody will benefit in some way. There will also be an emphasis on allowing readers to express their preferences when it comes to library ownership. Not every library can keep every title in stock, especially with some publishers disliking the idea of eBook rentals enough to force libraries to keep repurchasing their books constantly, but now users will be able to point out their desired titles to the library or even go directly from the library rentals page to a purchasing option if they don’t feel like waiting. From the sound of things, this is going to be the biggest thing to hit libraries in a long time. OverDrive is reportedly putting systems in place to handle demand a hundred times more intense than this past year. Kindle support will certainly do a lot to contribute to those numbers, but this may end up being the beginning of a whole new way to view libraries. If everything goes as planned and September is indeed the month of release, it is going to be a big one. Having a library card has never been such a good investment for the eReading enthusiast. 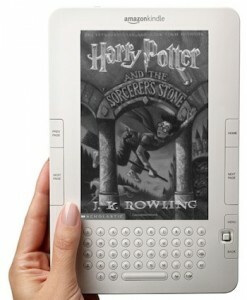 With the announcement that the Harry Potter series will be offered in eBook for the first time through the author’s very own distribution system (via Kindle, Nook, and pretty much any other device you care to name) rather than through the normal channels or in partnership with any publishing company, J.K Rowling has almost certainly upset some people. More importantly, however, her decision to release the incredibly popular series free of DRM constraints, relying instead on digital watermarking that will identify the original purchaser should a copy be found being distributed, brings the question of Digital Rights Management back to the front of our minds. The philosophy behind this move will make sense to many people. If you buy an eBook, why should it matter what device you decide to read it on? 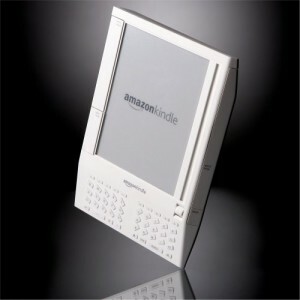 If you own both a Kindle and a Nook, shouldn’t it be possible to move between them as desired? Publishing companies, as well as eBook distributors like Amazon and Barnes & Noble, have traditionally felt that to be wishful thinking. After all, if you can read the eBook on whatever you want, what is to stop you from giving a copy to your friends and family, or even throwing it onto the internet where anybody who wants to read it can get to it for free? They see the restrictions as worth the price if it means that authors and publishers will continue to get their cut for each reader who comes along. I look at this release as an experiment. We will get a chance to see how an author fares when she takes an already established and well known collection of books and releases them digitally with very little control. Will Harry Potter fans show up in huge numbers to buy the series yet again just so that they can read it on their Kindles? Is it too late to catch the attention of most now that the series has already sold so well? Perhaps the majority will even feel entitled to pirate the series, having already spent as much as $150+ on a complete set of the hardcovers. This last point, in particular, holds certain weight for me since it gets to the heart of the DRM issue at hand. If you buy for one medium, be it paper or Kindle, are you paying for the specific instance of that product, or are you paying for access to the information it contains. If the former, then the DRM scheme we have now should be fine. If anything, it is fairly lenient. You would be paying for the opportunity to read a book on one specific platform and anything else is extra. If, on the other hand, we are buying the information contained in the instance, then it makes sense to be able to access it via any device we have on hand. Maybe paper books make more sense as collectables in a system like that? Regardless of what the truth is, or how the public will choose to interpret it given this opportunity, Rowling is going to make loads of money. Kindle owners are going to show up for this one. The difference between tens and hundreds of millions of dollars could be how we have to judge the outcome of this experiment in the end. It could easily become a point in favor of the abolishment of restrictive DRM, if people are honest. Something that most early adopters of the Kindle were eager to see was the impressive price drops that eBooks promised to bring. Compared to the expense of creating, transporting, and retailing a paper book, how could the eBook not make large libraries an inexpensive pursuit? To a certain extent, of course, we did see this for a while. Even now, during the reign of the Agency Model of eBook pricing, there are still impressive discounts to be found. That’s not even taking into consideration the impressive selection of indie authors who have sprung up thanks to the Kindle Store. Something I think many people miss when talking about this topic is that the price rebound, even if it does involve artificial inflation from the “Big 6”, could not succeed without consumer cooperation. The easy comparison when talking about eBooks is the print book. It’s almost too obvious to be worth stating. Something that people often forget when making that comparison, however, is that comparing and equating are two different things. A Kindle is not meant to be a cheap substitute for print. It provides benefits beyond any potential savings that have a chance to provide value equal to the paper copies for many people. When you buy from the Kindle Store you get instant access to a selection greater than any single physical bookstore could offer in person, faster delivery than any online retailer of paper copies could hope to achieve, portability between all of your Kindle-equipped devices, and a number of other benefits. The question tends to become what you value in your purchase. For some people, it makes sense to shop for the lowest price available. If the eBook is cheaper, as most people expect it to be, then there is little problem. When the paperback is actually cheaper than the eBook, however, we see problems. It is certainly true that the paper book provides certain benefits that the eBook doesn’t. We’ve all been over them before. It also has any number of shortcomings of its own. I, personally, would rather have an eBook because my mass market paperbacks keep wearing out on me. So far, nothing I’ve bought on the Kindle Store has fallen apart. I am not trying to make the point that eBook prices are right where they should be. I think everybody is still trying to figure out where things are going to settle with regard to that. The fact is, though, that the eBook as a format brings more to the table than price drops. If there weren’t people who would rather have their collections of bestsellers on a Kindle instead of a bookshelf, sales would drop off on those books to the point where even the most stubborn publishers would have to consider changing things around. Perhaps, rather than talking solely about the sacrifices that are necessary when choosing an eBook over a paper book, it would be more useful to think about what it is that brings you to the eBook as a choice in the first place. There is obviously something the average Kindle Store customer values beyond the savings. Stallman vs Amazon Kindle: Are eBooks Bad? The idea that print books and the Kindle were in opposition has been around pretty much as long as there’s been a Kindle. In fact, if you go back far enough, you can find people talking about the impending end of the written word pretty much since there was the option to view words on a screen. The Kindle just made it easy and enjoyable enough for people in general to take the “threat” seriously. The transition hasn’t been perfect, nor has it always been smooth. There are always problems with innovations. For the most part, however, it is clear to everybody that eBooks are thriving. That is, at least, the impression I was under. A recent article by Richard Stallman, founder of the Free Software Movement, the GNU Project, and general digital freedoms activist, seems to insist not only that this turning point has yet to come, but that we should resist it on principal. 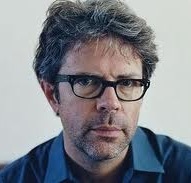 His recent article, titled “The Danger of E-books” highlight the shortcomings of digital reading media by comparing point for point across a list of freedoms that can be associated with print books. Emphasis is placed on the value of anonymous purchasing, lack of required proprietary technology or software, resale capabilities, and the differences between ownership and licensing. He makes what could be considered some good points, but that depends on your point of view and priorities. From what I know of Stallman, anonymity is a major issue for the guy. I can understand the urge for that kind of complete privacy, but at the same time it is increasingly proving more of a daily hassle than it is worth. I’m not claiming that as a good thing, just a fact of life. His argument that a book can be purchased anonymously, where a Kindle or Kindle eBook cannot, really only applies if you are the sort of person who makes no purchases online in the first place, who doesn’t use a credit card, and who avoids all non-cash transactions. This isn’t an eBook problem, it’s a modern commerce problem. A similar problem applies to his objections to restricted reselling. Pulling an example from another industry, look at the problems that reselling have caused video game production companies. Not only are many consumers more likely to purchase used copies than new ones, but these used copies are a continual drain on their original creators who must maintain any server-side components in spite of the fact that purchasers after the first bring no money to the originating company. A similar problem would arise for a company like Amazon if they were to offer resale Kindle books. Customers come to the platform expecting to have their books available to them on all their devices when they want them. Should Amazon be providing this service to people who work around the system and grab a “used” license that provides no profit to either author or distributor? I suppose a rights-transfer fee might be possible, but that would have its own objectors, especially on already inexpensive eBooks. Maybe it is a bit cynical but I think that if you leave people free to do what they please, there’s a good chance that they will. Is the current DRM scheme ridiculously restrictive? Yes. No Question. Is the answer to completely do away with DRM and move to a scheme such as the one Stallman suggests, where the only money authors can expect is from pleased readers wanting to anonymously donate to them? I sincerely hope not. It’s a pleasant vision that assumes the best of everybody, but in reality it would almost certainly mean the downfall of the Kindle platform and a move away from digital publishing by pretty much everybody wanting to make a career of writing.